A unique master bedroom concept designed to meet up the king’s requirement with dark colours. The walls have been designed with designer europratik decorative panels breaking the jinx of plain colour walls. 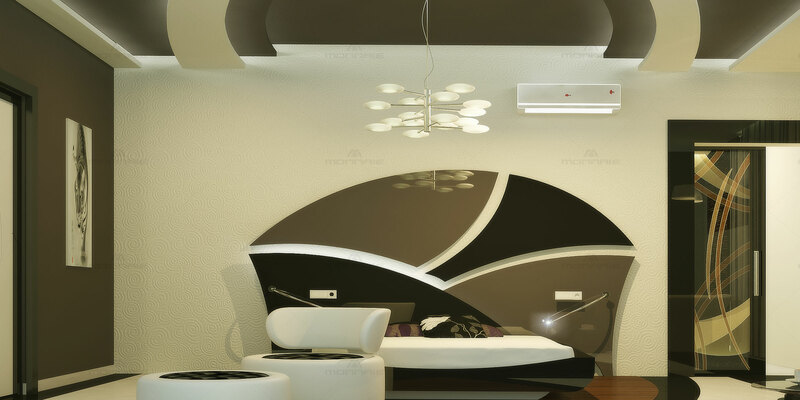 Creative cot with designer head panels and the mirrored ceiling and floor designs brings out more elegance to the bedroom providing sheer comfort.